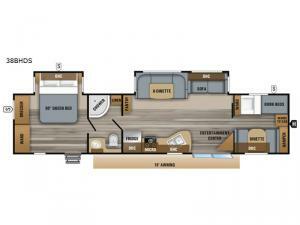 You will surely enjoy everything you find in this Jay Flight travel trailer. Just imagine the owners having their own master bedroom with a second entry door as they walk through the full bathroom from the living area. The kids will have a place to call their own in the front bunkhouse which includes a hamper and dinette. So who will sleep on the top bunk? The main living and kitchen area offers a patio door allowing more sunlight to come inside, plus provides an amazing view of the great outdoors. You can stock up on perishables thanks to the 18 cu. ft. refrigerator. 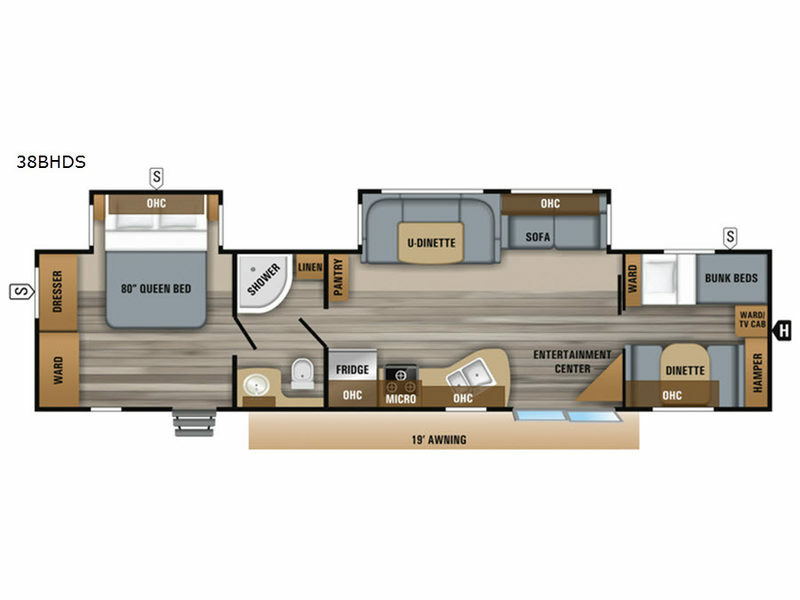 Come see how this trailer fits your family's lifestyle, plus you may choose a few options to make this the perfect RV for you!